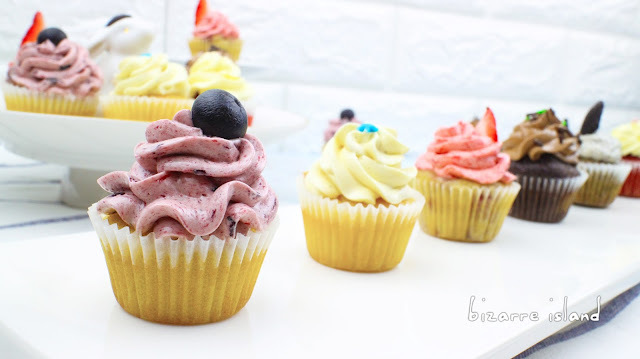 ~ bizarre island ~: 1 Batter 6 Flavours Mini Cupcakes! 1 Batter 6 Flavours Mini Cupcakes! Isn't it cute? 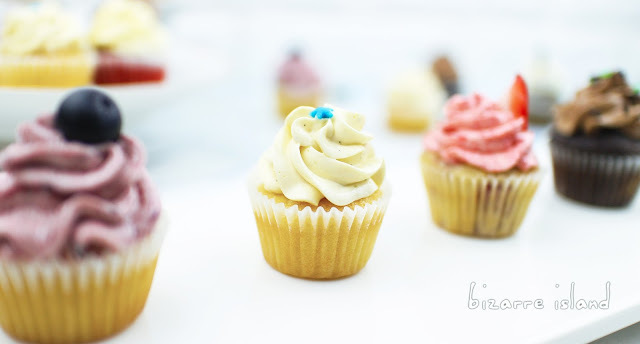 Bite size baby cupcakes with 6 different flavours to choose from. You know people usually make 1 flavour in 1 batch of cupcakes which is oh-so-boring. You get 1 classic cupcake serving with only 1 flavour and your calorie count is done for the day. We are here to solve this problem! 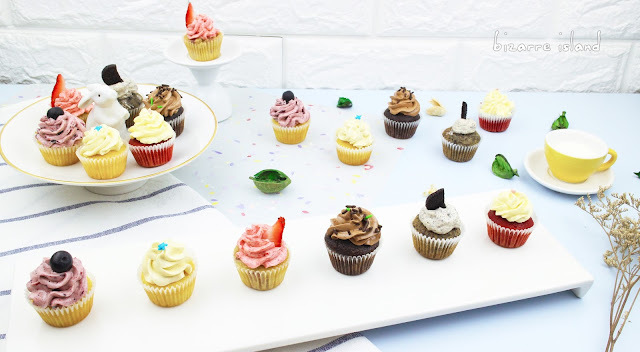 Miniature cupcakes and 6 flavours in a batch. We start with these 6 classic flavours, from the staple vanilla and chocolate to the fruity strawberry and lemon blueberry. Not excited enough? We throw in cookies 'n cream and red velvet! These cupcakes are 4 times smaller so you can afford to eat more than 1 before you reach your calorie limit or feel guilty! Yeah! 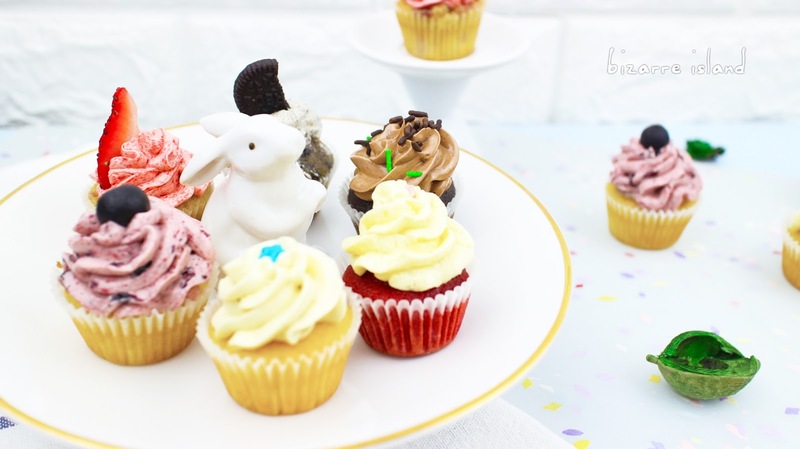 If you like to see more flavour combinations from this one perfectly moist cupcake recipe, leave a comment here or on our youtube and give a thumbs up to let us know! 15. Let them cool to room temp, pipe on the frosting. II. You can mix and match the frosting and cupcake flavours e.g. Chocolate frosting on vanilla cupcakes etc. These look absolutely delicious! Can't wait to try them! Do you know if they need any adjustment at 4200 altitude? Sorry, we have no experience in high altitude baking. I made these but I didn't have enough batter. Why?